Global survey of rents for expats shows European cities seeing significant increases. 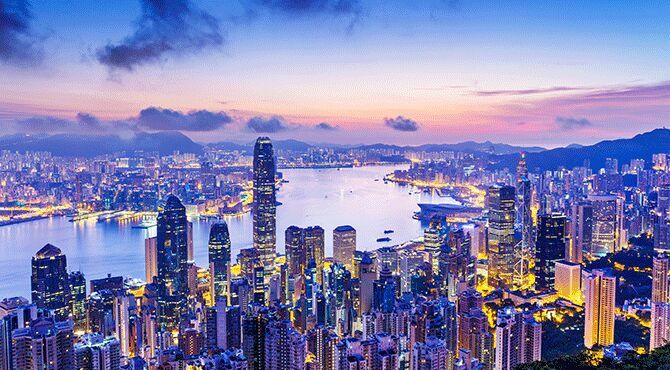 Hong Kong remains the most expensive city in the world for expatriates to rent accommodation, according to the latest survey by global mobility consultants ECA International. Although New York remained second in the rankings - and by far the most expensive location in the Americas - the survey found that rents had actually dropped by an average of $250 a month since last year.Alec Smith, ECA's accommodation services manager, said, “2018 saw the market delivery of a large number of newly constructed rental properties. This eased issues with low vacancy rates that normally apply in New York, leading to some modest decreases in average rents.”Rents in London also remained the most expensive in Europe, averaging $7,189 (£5,187) a month with the survey finding that, despite Brexit uncertainty, demand for rental accommodation in the city remained steady, not least because young professionals were increasingly unable to buy within the M25.Although rental costs decreased in central London this year, rents in outlying boroughs remained stable. “A polarisation of rent changes was observed between properties in central and outer London since the previous year. Rents fell in prime neighbourhoods in London Travel Zone One, with salaries for top jobs largely stagnant and demand waning," Mr Smith said. Elsewhere in the UK, a buoyant jobs market prompted a general increase in demand for rental accommodation with Manchester continuing to have the most expensive rental accommodation in the UK outside of London.But it was Birmingham that recorded the largest rental cost increase in the UK at a "staggering" $415 per month, making it the 36th most expensive city in Europe to rent in.Across Europe, Dublin entered the list as one of the continent's five most expensive locations, rising 35 places since last year's survey and recording average price rises of eight per cent, to $3,311 a month.Mr Smith commented, “The past 10 years have seen a significant turnaround in the fortunes of Dublin’s residential rental market. The global financial crisis exposed a property bubble in the Irish capital and rents have increased significantly with each subsequent year of recovery. "The cost of renting has also been affected by elevated demand from international companies relocating staff while looking to take advantage of Ireland’s low corporate tax rate.”Rental costs elsewhere in Europe also rose significantly last year, due in part to the strength of the euro. Major cities such as Madrid, Rome, Paris and Barcelona all saw increases of more than $500.In Asia, rental costs in Tokyo rose by an even greater annual rate than in Hong Kong, with typical expat accommodation now costing an average of $8,668 per month, a rise of 6.9 per cent on last year.“While the Tokyo rental market has historically always been tight, 2018 saw a significant upturn in the rate of rent increases," said Mr Quane. "An increase in tourism in recent years and the accompanying increase in landlords preferring to lease out accommodation on a short-term basis has contributed to rising costs in recent years. "In Singapore, rental prices have continued to fall for expatriates, with the average monthly rent now $4,215.